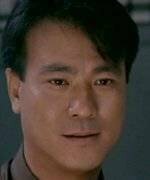 Danny Lee was born in 1953 and joined the Shaw Brothers Actors Training Course in 1970. By 1973 he had graduated to the lead role in River Of Fury. Other notable Shaw Brothers films are Bruce Lee And I, in which he portrayed Bruce Lee, and cult favorites Super Inframan and The Mighty Peking Man. In 1981 he turned to directing as well as acting, focusing in crime films in which he often played the role of cop. In 1984, Lee was named Best Actor in both Taiwan and Hong Kong for Law With Two Phases, which he directed and scripted. In 1987, Lee founded Magnum Films Ltd, which produced popular police dramas as City On Fire, The Killer, The Untold Story, and Organized Crime & Triad Bureau.